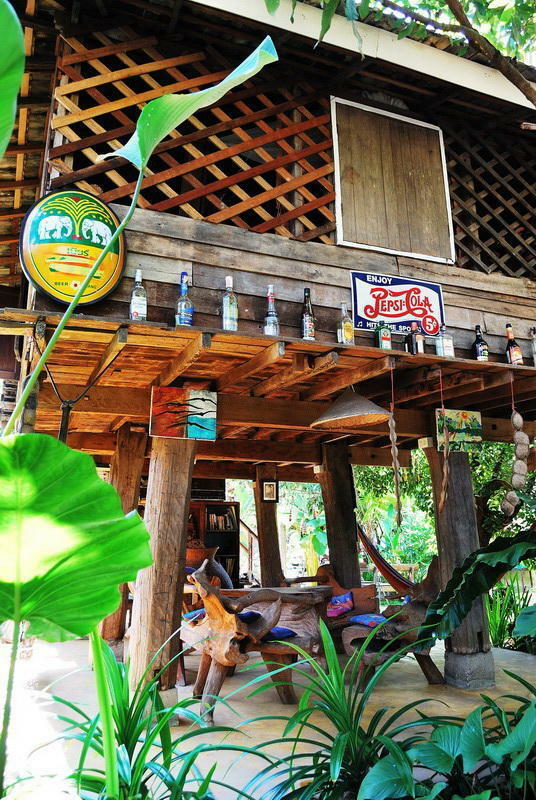 If you are someone who loves the peaceful nature and the local thai style as we do, we're happy to invite you at our STONEFREE HOUSE. Stonefree House is designed from 'Luang Khaw'. In those special houses, the local people used to keep rice. Now we rebuilt all of them for your stay at our place. You can take your time to read a book, walk around the village, do meditation or just relax in our beautiful and quiet garden setting. Stonefree House is surrounded with the Longgan Farm , rice paddy fields, trees and fragrants. You will totally love our place. You can also have a look at our bar and listening to the songs the locals playing. Stonefree house offers also traditional Thai food from our own kitchen. If you like we can explore together the local markets and cook the food together. By car : Go to south of Chiang Mai along Chiang Mai - Hod Road about 22 km. Passing Sanpatong police station about 1 km, you wil see Kasikorn bank on left then turn right about 2 km, you will see Stoefree House on right. By bus : You can take yellow bus at Chiang Mai Gate To Ban - Kaad, the bus passing Stonefree House.